Rodents are typically animals that people try to keep out of their homes. However, when cared for properly, these small creatures can actually make great pets. There are different types of rodents. 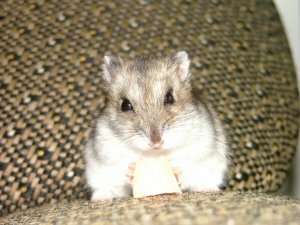 The tips in this section can help you care for mice and gerbils. You'll learn about their diets and how to keep them happy and healthy. The following articles are available for the 'Rodents' topic. Click the article''s title (shown in bold) to see the associated article. Mice, like all other animals, need a balanced diet. They like to try new things and different kinds of food, so experimenting with food is a plus for your mouse. However, there are a few things that are harmful for your mouse. Gerbils are very active critters that love to burrow and dig. Providing your new gerbils with a proper house is one of the most important things in keeping your gerbil happy and healthy. There are many things to consider when providing your gerbil with the proper home. Next to hamsters and gerbils, a pet rat is one of the more popular small pets that you can get. If you are thinking of getting one though, you want to make sure that you know what you are dong. Here are some guidelines that will help you understand the basic care of rats.